⬅ Why do I feel so misunderstood? Have you ever felt this way? 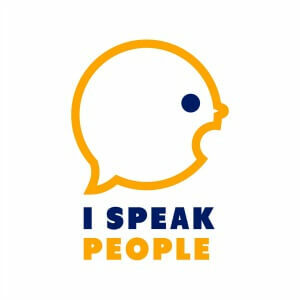 I can definitely relate to this fellow INFJ’s comment. In Gifts Differing, Isabel Myers describes how extroverted intuition (Ne) – the kind of intuition ENFPs, ENTPs, INFPs, and INTPs, use – works. She points out that Ne users “[regard] the immediate situation as a prison from which escape is urgently necessary.” While Myers was addressing Ne types, her description applies to all intuitives – especially dominant intuitives like you and me. 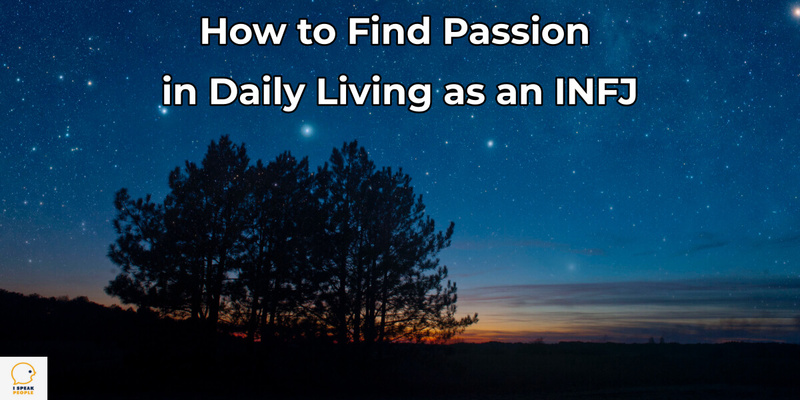 Figuring out how to enjoy and live passionately in the moment is a tall task for any INFJ. So how do we make the most of normal life? Before we delve into the how, let’s take a brief look at why we have such a difficult time with the present. Look at the INFJ function stack and the cognitive functions or mindsets that make up our personality and you’ll see that the most prevalent and influential function is introverted intuition (Ni). This is because it sits at the top of the stack, which is arranged in a power order or hierarchy. At the bottom you can see extroverted sensing (Se), which is, in many ways, our Achilles heel. It looks for opportunities to lose itself in creativity, learning, or deep thought. This is the main reason why I, and other INFJs, often miss turns while driving long distances: getting lost in thought is too easy! So while Se is definitely a part of who we are, Ni drives us to envision and work toward new and better futures. We’re seldom happy with life as it is and much more interested in human growth and improvement and helping others learn. This reality makes it hard for you and me to stop and enjoy the present moment. Our natural future orientation and thirst for growth and improvement make living in the present difficult, but technology is amplifying the challenge. While we’re surfing the web, watching YouTube videos, listening to podcasts, and even reading emails, we’re being bombarded with ads. They promise us happiness and fulfillment if we’ll just buy a product, enroll in a program, or read a particular book. Meanwhile, Facebook and other social media platforms lead us to believe our friends enjoy more fulfilling lives by showing us only mountaintop experiences and glamor shots. As a result, it’s easier than ever to feel discontent. James Allen was right when he explained that changing your thoughts can significantly change the quality of your life. And this is why career advisor Dan Miller encourages his readers, listeners, and followers to read and listen to positive, uplifting messages. 2. Work toward a better future. If you’re not content with the present, part of the problem may be that you’re not working toward a better future. Granted, this isn’t always the answer. Different life circumstances – careers, relationships, etc. – don’t guarantee happiness. But if you feel as though your natural gifts and abilities could be put to better use, there’s no harm in preparing for a different career in your spare time. Time is going to pass either way, but preparing will give you hope. 3. Connect what you’re doing to a higher purpose. Sometimes all we need to improve and appreciate the present moment is a higher purpose. If, for instance, you’re not enjoying dishes, laundry, cleaning, or some other chore, doing it to serve and love a friend or spouse can give the task much-needed meaning. If you don’t like your job, remember that all moral work serves society and takes care of people’s needs. While it may not harness your gifts or help others grow, it’s still important and valuable. Another way to enjoy the moment – and perhaps one of the best ways for an INFJ – is to invest in relationships. Talk with close friends and family members, play board games, enjoy the outdoors, or do something that you all love doing together. I just got back from a short trip to the mountains with friends and family. I loved hiking through the woods while chatting about family relationships and taking in the smell of pines and sound of running water. Leaving home for a few days removes the temptation to return to projects and enables you to get caught up in the moment. 5. Make time to do what you love. Finally, while it’s wise and healthy to stretch yourself and connect with family, friends, coworkers, and neighbors in ways that come naturally to them, it’s also okay to make time for activities and interests that you enjoy. Reading a book, researching a new topic, pursuing an answer to a deep question, and creating something new and original are a few common INFJ interests. Don’t be afraid to inject normal life with passion by enjoying what brings you to life. What do you do to fill normal life with passion and joy?